The Great Wall of China should be renamed The Great Walk of China. My Fitbit (step counter) registered over 1000 steep steps going up and then another 1000 steps down and that was just in the tiny section we visited. 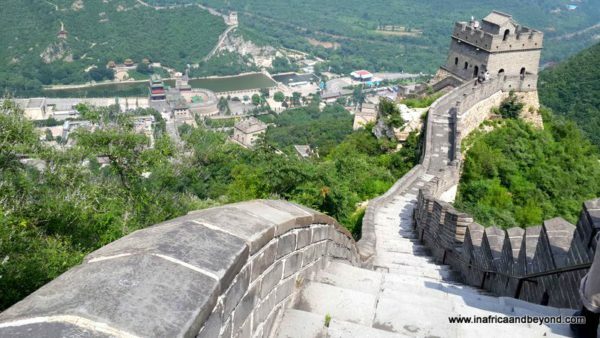 The Great Wall is over 8000 km long extending from the East to the West of the country and well deserves its placing in the New 7 Wonders of the World. I had been ready to stop at about 100 steps – I’d already earned the bragging rights – but my husband convinced me to go higher and higher with him until it was just the two of us and the spectacular view. On the way down, our unfit legs were so wobbly that I was convinced we were going to tumble down the steps. Fortunately, we didn’t. We were on a whirlwind 7 day trip of China, spending 3 nights in Beijing, 2 nights in Xian and 2 nights in Shanghai. Why these three cities? Well, because of the limited time we had and this being our first visit to China, we decided to visit the most popular tourist attractions first. Whereas Beijing boasts the most historical sites, Xian is home to the Terracotta Army and Shanghai is the ultra-modern city. Note that, no shopping hotspots were included, but then again, I’m the only woman I know that’s not big on shopping. In Beijing we visited Tiananmen Square, the scene of many important events in Chinese history, where Chairman Mao Zedong, the founder of modern China, now lies in his mausoleum. We marvelled at The Forbidden City, the Chinese imperial palace built in the 1400’s – thus named because no one could enter or leave it without the emperor’s permission. 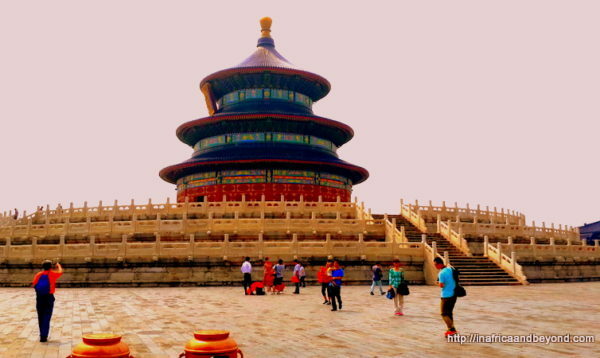 It is reputed to contain 9999 rooms within 980 buildings which have beautiful names such as the Palace of Heavenly Purity, Palace of Earthly Tranquillity, Hall of Supreme Harmony and Hall of Mental Cultivation. We saw a lot more, but strangely enough, the highlight of our sojourn in Beijing, besides the Great Wall of course, was watching “The Legend of Jinsha”, a superb acrobat show with death-defying stunts which had us on the edge of our seats through most of the show. The bullet train, which goes up to speeds of 380 km/h took us to Xian where the Terracotta Army was discovered in 1974 by local farmers who were digging a well. The army consists of over 8,000 soldiers, as well as numerous chariots and horses. 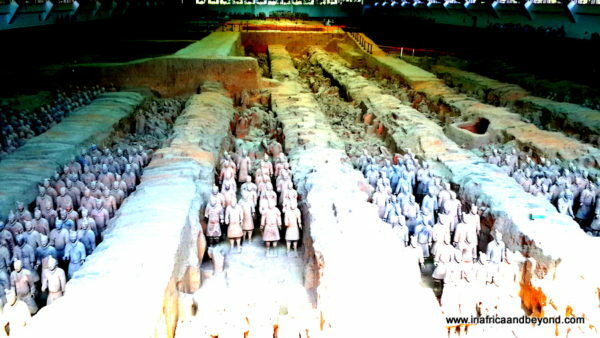 It was buried with Qin Shi Huang, the first Emperor of China, who had them constructed in the third century BC to protect him in the afterlife once he died. It was mind-boggling to witness the life-size scale of this army and imagine the time and labour that went into constructing it. At night, we were entertained by a Tang Dynasty show, a performance of ancient music and dance with spectacular costumes. 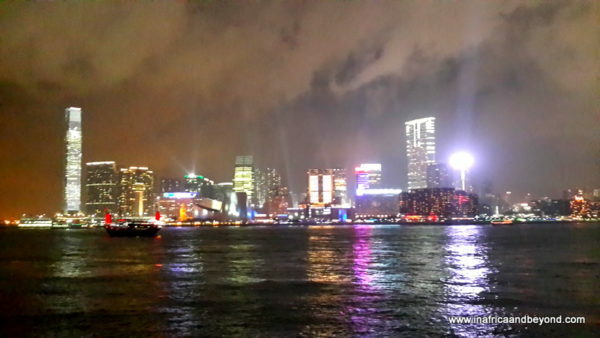 Shanghai aka The Paris of The East is the most populated city in China. The focus here is on bigger, better and brighter. Skyscrapers tower over the city including the Shanghai World Financial Center, the third tallest building in the world and the Oriental Pearl Tower which has an observation deck with a glass floor at a height of 259 metres. Walking on it made me feel as though I was defying gravity and walking on air. 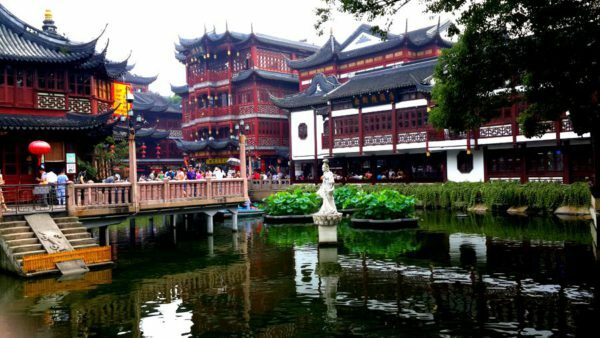 We were dazzled by the beautifully lit buildings on our evening river cruise but also by the Yu Garden (Garden of Happiness), an extensive Chinese Garden constructed in the 1500’s. It consists of ancient trees, rockeries, fish ponds and beautiful pavilions – just the place to melt one’s stress away. A tea-tasting was also on the cards where we were offered tea for almost every ailment, and bought several. Prior to visiting China, I thought that it was as foreign a land as one could get. But it was not what I expected at all. I found it to be a clean, well-run (although strict), modern country with its roots in ancient civilizations. There were just two problems worth mentioning. The first was the language barrier as most Chinese people we encountered didn’t speak English. Fortunately, we had English-speaking tour guides. 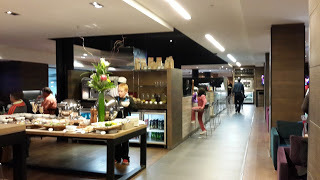 The second was the food – most of which I didn’t enjoy as it was so different from our local Chinese cuisine. 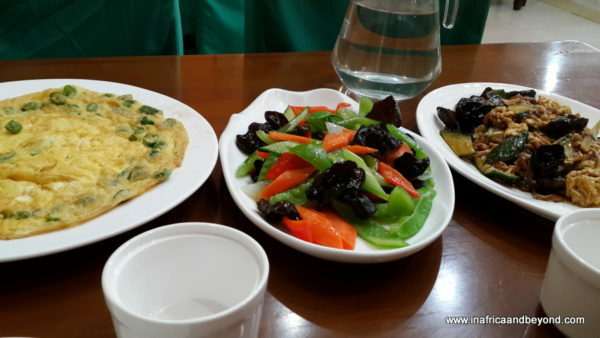 The foods we were served most often were cabbage, broccoli, omelettes (for lunch and dinner), duck (a bit tough), black fungus (a type of mushroom) and tofu. But these were not significant enough to keep me from returning to see what else this beautiful country has to offer. Read about my Top 10 things to do in Beijing here. Any good sushi there Aunty Sara? Then I could convince my parents to go . Thanks Salma. Glad you enjoyed it.